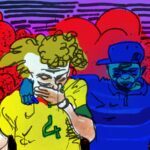 Sport Club do Recife and advertising firm Ogilvy came up with a unique method of ensuring things went smoothly at Sunday’s “Classico dos Classicos.” By hiring the mothers of fans — dubbed “Security Moms” — to act as stewards for what is traditionally one of Brazil’s most violent rivalries. The entire history of the relationship between Sport and Nautico is one of discord. Infighting amongst Nautico members led to some splitting off and forming Sport Club do Recife in 1905. And since then, relations between the intracity rivals have only gotten worse. Which is why they called in the moms. Their presence was highlighted on big screens before and during the game in a bid to make fans aware of their presence. 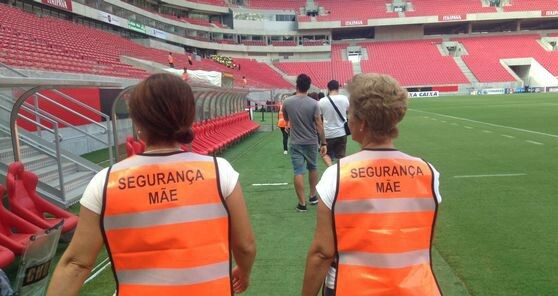 The club said the mothers got the same training as all security officials and volunteers working at the game, one of the biggest derbies in Recife. “The idea was to make the most fanatical supporters aware and help in some way to bring peace to stadiums,” Aricio Fortes, vice-president of Ogilvy, the PR company that dreamt up the idea, told Sport’s website. In total, 30 mothers were employed for the match and their presence might have been a difference maker since the club reported no arrests. Though this might have only been because the mothers sent offenders to their rooms instead of having them arrest.